A testimonial is one of the best ways to get feedback from your customers about your services or products. It strengthens your credibility, and it’s also a way for your customers to express trust for your products. Thus, you might like to collect testimonials and display them on your website to strengthen your brand. Today, we’re going to look at how to display testimonials with WordPress. If you’re using a WordPress website, and you’re curious about how to display testimonials on your website, you’re in the right place! 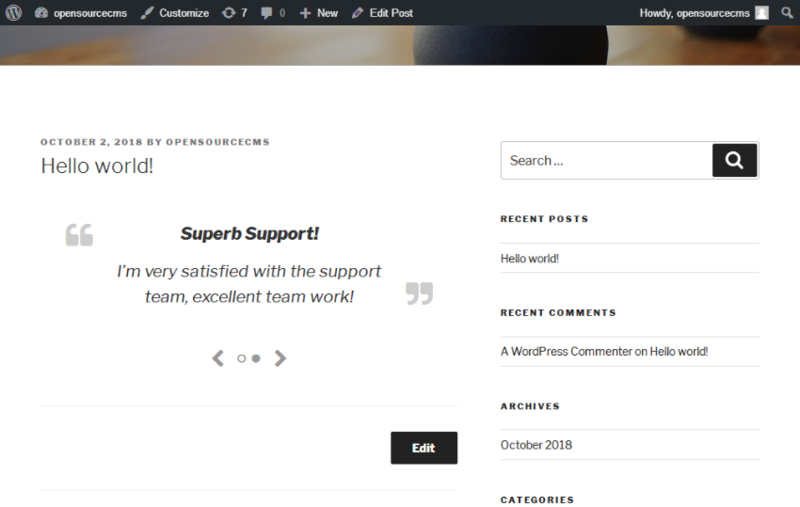 For this article, I’ve used WordPress 5.0.3, and the Strong Testimonials plugin version is 2.33. I would recommend that you install it if you want to follow along with this article. 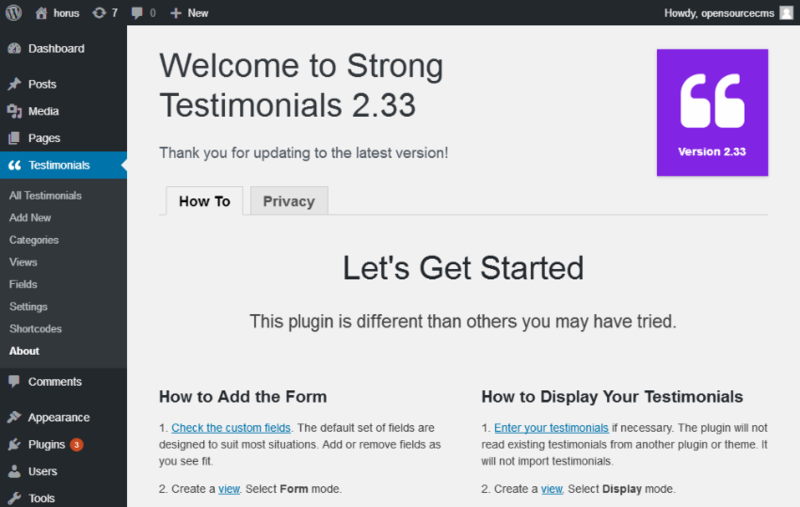 To install the Strong Testimonials plugin, you need to follow the standard installation process. Strong Testimonials is one of the best plugins in the testimonial category. 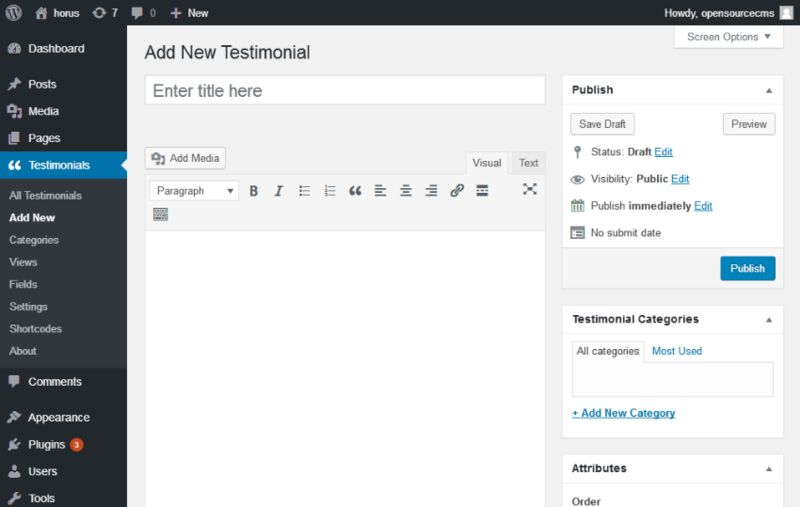 It’s a standalone plugin which allows you to collect and publish testimonials in no time. 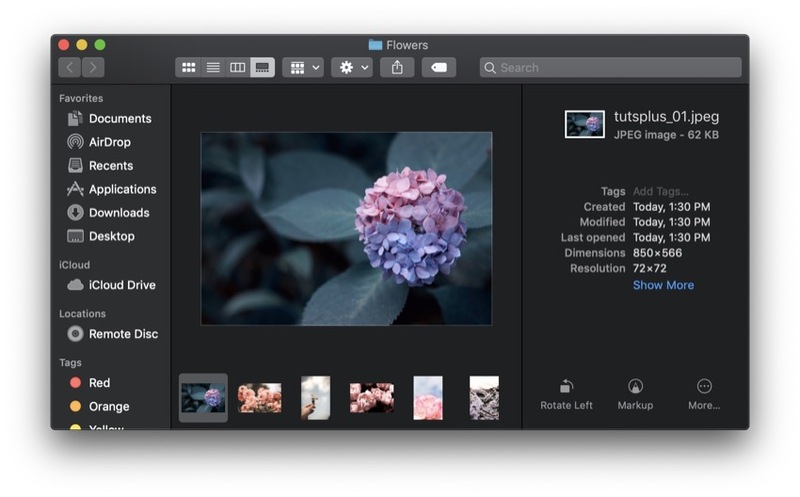 Apart from that, it’s easy to use and developer friendly, so it provides scope for customization in case you want to add more features or alter the existing features. 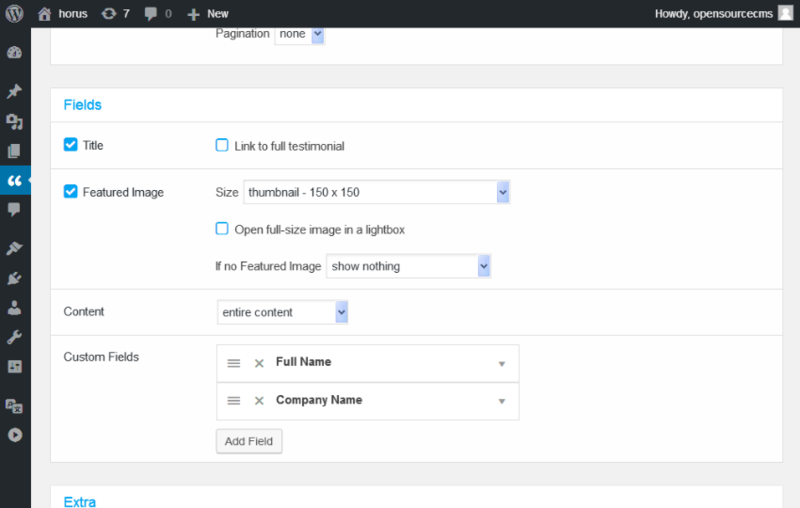 In the next section, we’ll walk through the steps that are required to build a testimonials slider. I assume that you have a working setup of WordPress and you have also installed the Strong Testimonials plugin. Go ahead and access the Testimonials > Views link in the left sidebar in the back-end. 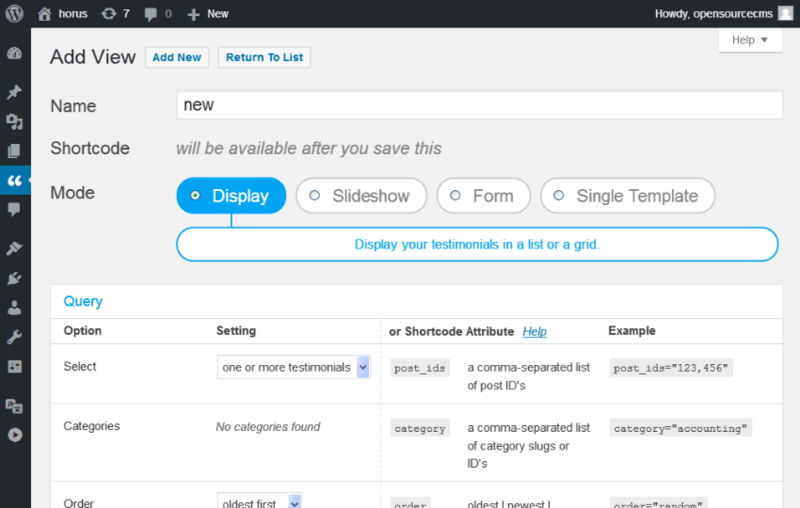 As we discussed earlier, the Strong Testimonials plugin allows you to create different views as per your requirements. In our case, we want to build a slideshow of testimonials, and thus we’ll create a view using the slideshow mode. Next, there’s the Query section, which allows you to configure filtering and ordering criteria for your slideshow. Moving ahead, there’s a Slideshow section which allows you to configure a few important settings for your slideshow like transition, behavior, and navigation settings. 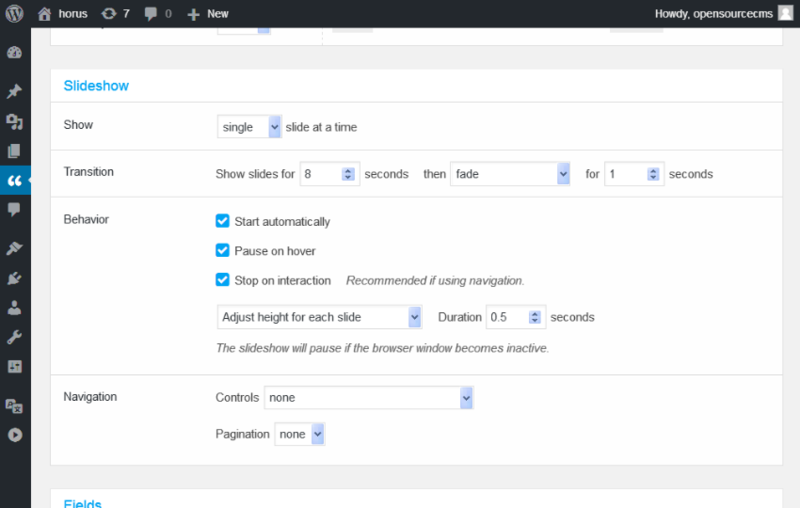 Finally, there’s a Style section which allows you to configure the display aspects of your slideshow. 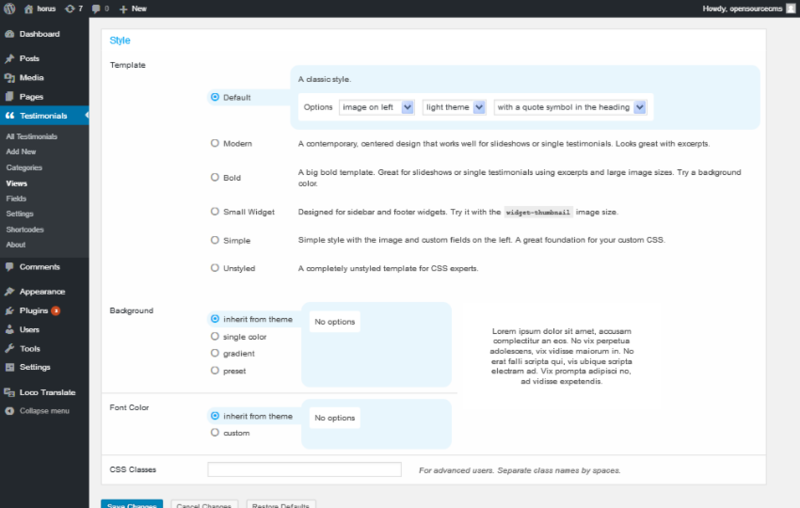 It allows you to choose a slideshow template from a variety of built-in templates. 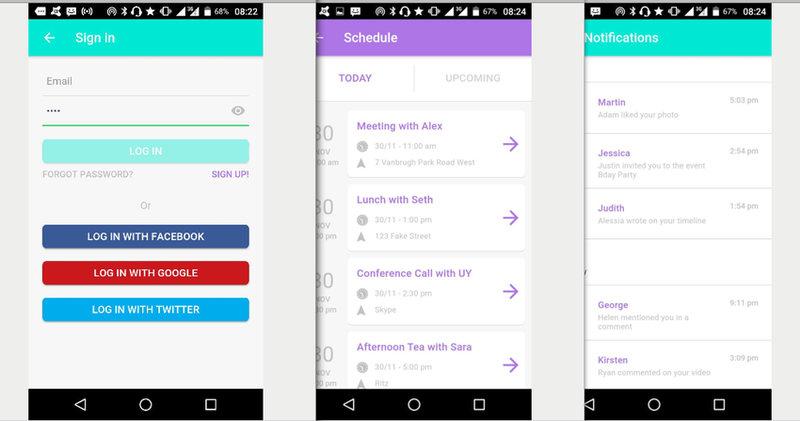 Apart from that, you can also configure the background and font color changes. Once you have finished with all the settings, click on the Save Changes button to save your view, and you’ll be taken back to the views listing page as shown in the following screenshot. 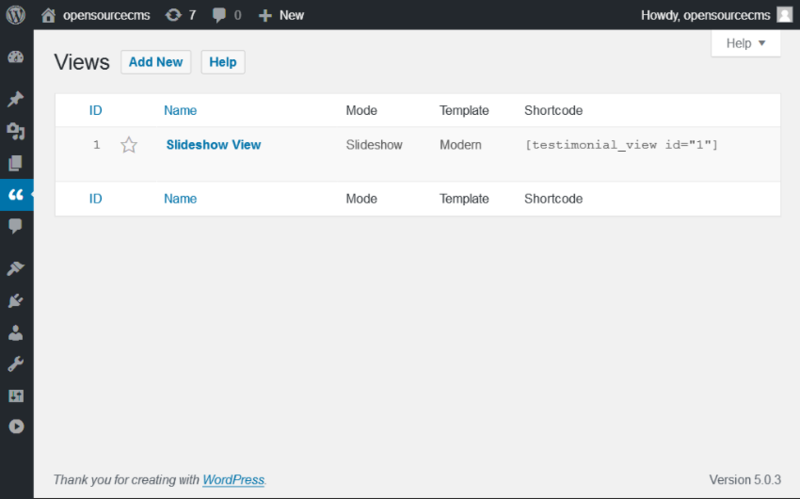 As you can see, there’s already a shortcode available for the slideshow view you have just created. You can use this shortcode in a post or sidebar where you want to display this slideshow. With the default settings, it should look something like this. As I mentioned earlier, the Strong Testimonials plugin provides a lot more features, not just a slideshow. 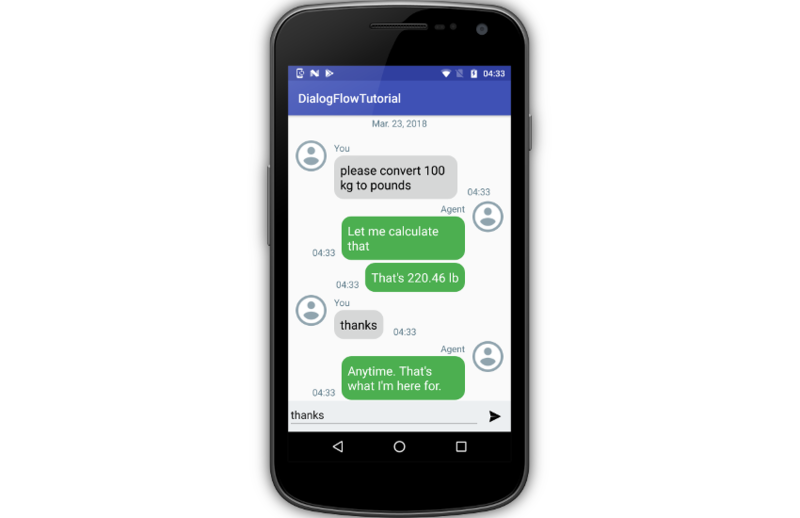 You can use it to collect testimonials from the front-end, and it allows you to create the display mode view which displays testimonials in various formats. Feel free to experiment with those features and let me know if you have any queries about it. Feel free to share your thoughts and feedback using the feed below! PreviousWhere Do You Nest Your Sass Breakpoints?